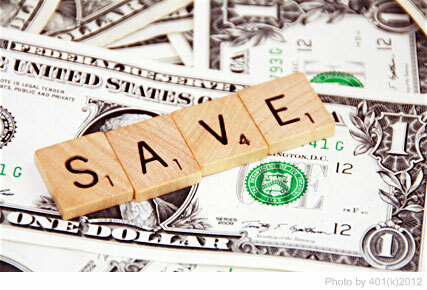 Like most people, you probably would agree that saving money is a smart financial decision. But do you really follow through with this idea when it comes to your money spending actions? There is the stuff we can live with out, but then there are the things that we just cannot avoid. Among those things are car costs and even the price of everyday communication. Here are some easy ways to cut down the cost on these necessities. Driving your family around would be difficult with out a car, not to say it isn't possible, but for many of us an automobile is categorized as a practical means of transportation. However, with a car comes a list of costs related to upkeep and insurance. Insurance - Because most insurance carriers recognize that people can own a car, as well as rent or own a home, they offer discounts for bundling. Bundling can not only save you money, but also allow you to combine car, renter's, homeowner's, or even life insurance all under one carrier for easier management. Gas - Spending money on gas is unavoidable when you own a car, and with gas prices always on an increase rollercoaster, it is hard to solidify a strategy. When carpooling can't happen, let technology lend a hand. There are mobile applications available for download that are designed to help its user find the lowest deals on gas prices available in the area. Long Distance phone calls can get really pricey, especially if you have family based over seas or even just across state lines. Calling cards and landlines just won't cut it if you are having to travel often for business. International calls - Desktop computers, personal laptops, and smart phones with built in cameras—their popularity is growing and many of us already have one, or even all three. Skype is a software application that can be used on all three of these, granted that you are connected to the internet. You will be able to save on long distance and international calls, as well as connect with your loved ones or business partners on a more personal level. Texting - Texting can also get pricey after you've reached your monthly limit, especially if you don't have an unlimited texting plan. Owning a smart phone or a device that can be connected to the internet has its huge advantages with finding alternative ways to communicate through text for free. Skype, WhatsApp, Kik, WeChat, or Google Hangouts are all applications that can help bypass a limited texting plan. These give more of a reason to ditch the landline. A little saving here and there can go a long way, especially for the insisted upon needs that we just can't seem to shake. Try these ideas on ways that you can save and have it kick start your actions into making smarter financial decisions.